2 Bedroom Flat For Sale in Ealing for Asking Price £924,950. 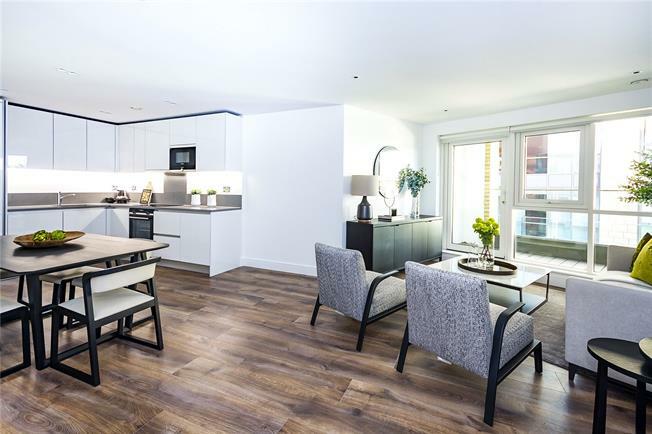 A simply stunning two bedroom luxury apartment in Quartz House positioned on the second floor. An open plan 18ft reception room leading to a 10ft luxury kitchen with built in appliances and space for dining table. The master bedroom measures 14ft in length and comes with a built in wardrobe, en suite bathroom and a family bathroom, all with luxuriously appointed heated floors, walls and mood lighting. Private terrace accessed directly off the reception room. Lifts up to all floors and 24 hour concierge team. Tenure: 250 years from August 2010. Ground Rent: 2 bed £600 per annum (reviewed every 20 years). Estimated Service Charge: Average of £5 per sq ft per annum. Estimated completion: Completed and ready for viewing. Disclaimer: The above prices are correct at the time of printing (28.12.18). However, St. George reserve the right to increase prices without prior notification.